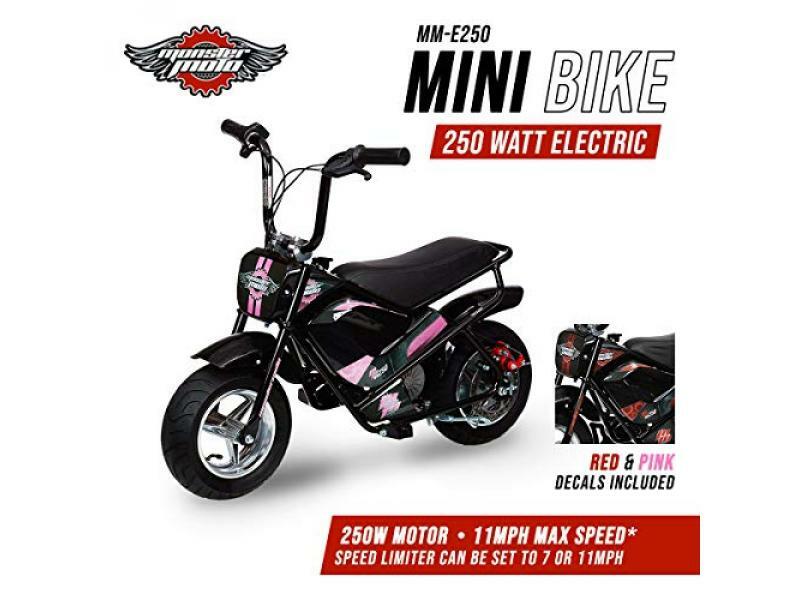 Whats in the box-Monster Moto Classic Electric Mini Bike. Charger, Tool kit, hardware required to assemble the unit. Owners Manual. Certificate of Origin. Pink and red decal sets.